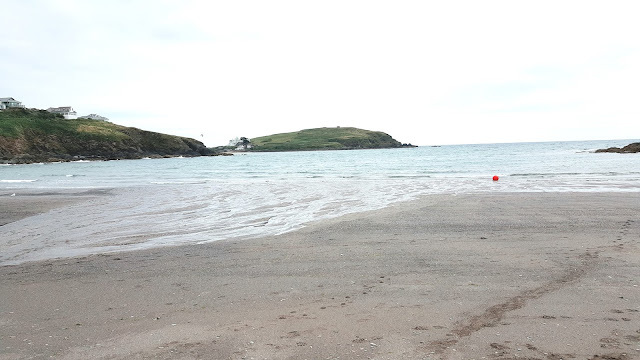 We have just returned home after spending a long weekend at my parents caravan in Devon. The weather was glorious for the first few days and the children had lots of fun building sandcastles, rock pooling and playing in the sea. The children have been learning the Arabic alphabet, both at Arabic school on Saturdays and with me at home. 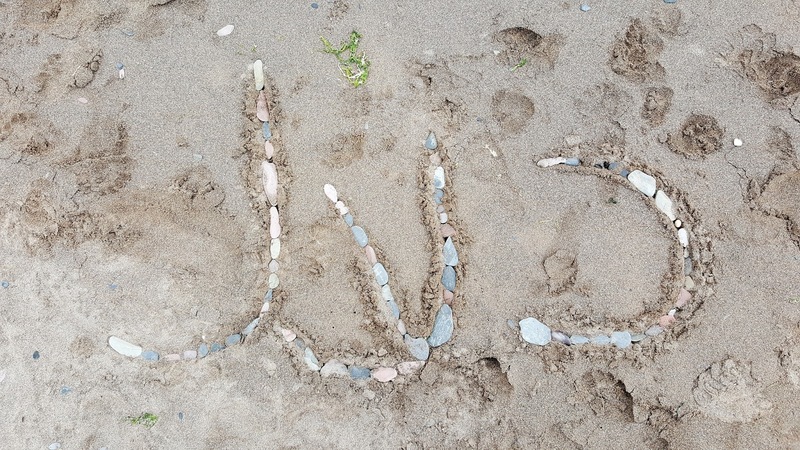 We started off by going through the letters of the Arabic alphabet and writing them in the sand. 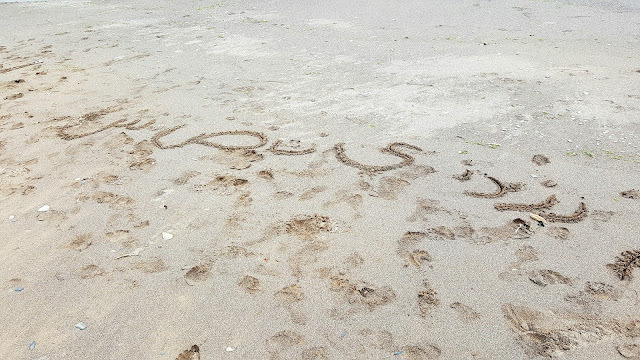 Sand is such a great medium for writing. Grab a stick or simply use your finger to draw letters, shapes and pictures. Next I asked them to write their names. D loves to write her name in Arabic. She loves writing i general; shame she doesn't like reading as much yet! 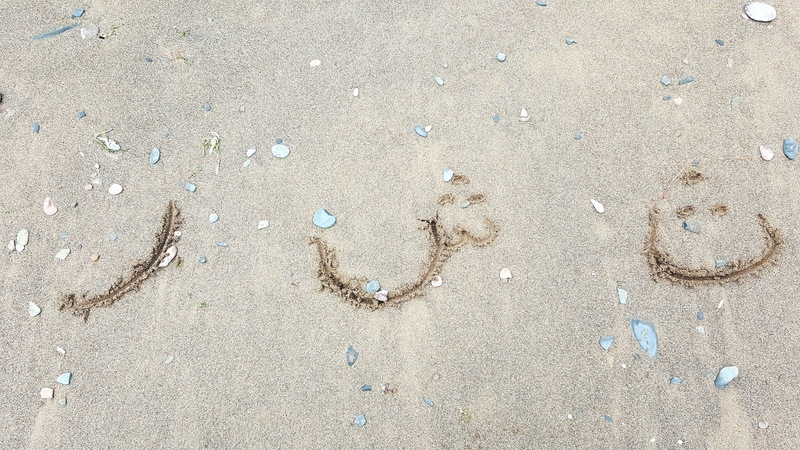 After they had written their names, I suggested they collect some treasures to decorate the letters. 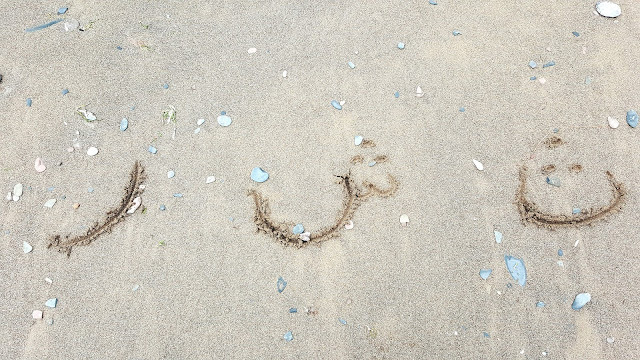 In this way, they could create stunning pieces of art in the sand. Both the children decided to write their names in English as well. D got stuck in decorating her letters with pebbles which were easy to find all over the beach. D's finished masterpieces. Her name in both English and Arabic. R started off well but soon got bored. After all, what can you expect from a 5 year old?! He managed the first two letters of his name before running off to play elsewhere for a while. When R came back to join us, I decided to get out the flash cards. 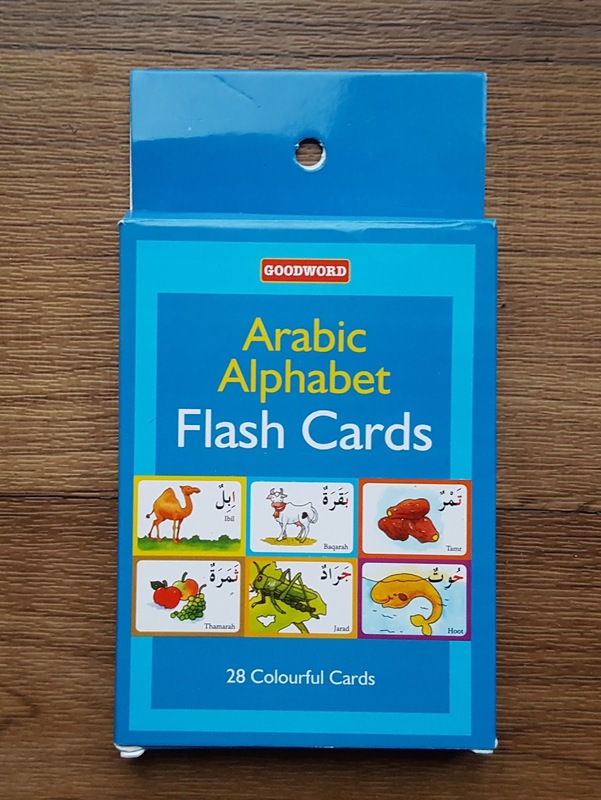 Flash cards are a good resource for language learning once children get to a certain age. I would not recommend them for use with very young children but once they reach preschool age or slightly older, they may enjoy using them. 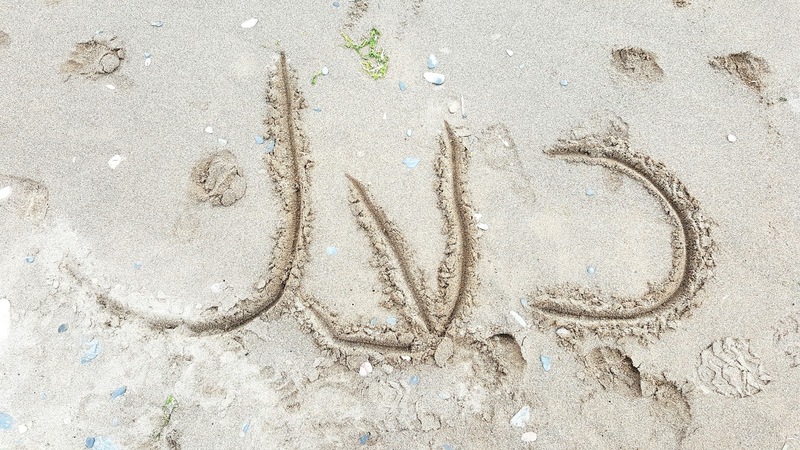 I wrote three Arabic letters in the sand. 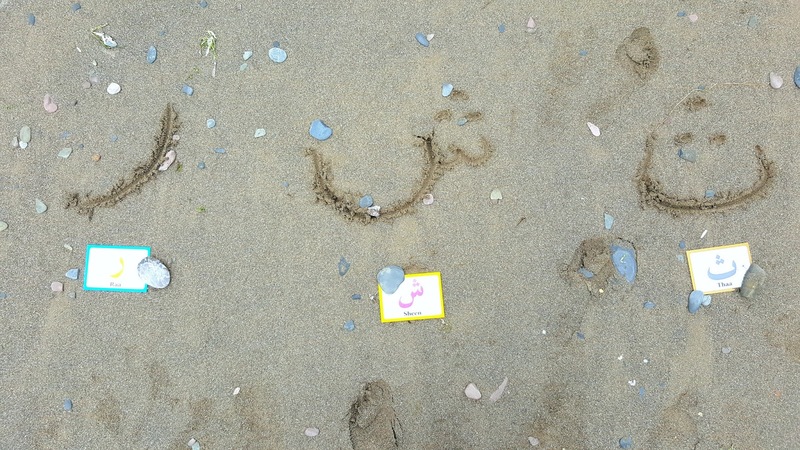 I gave R three flash cards and asked him to match the cards to the letters in the sand. 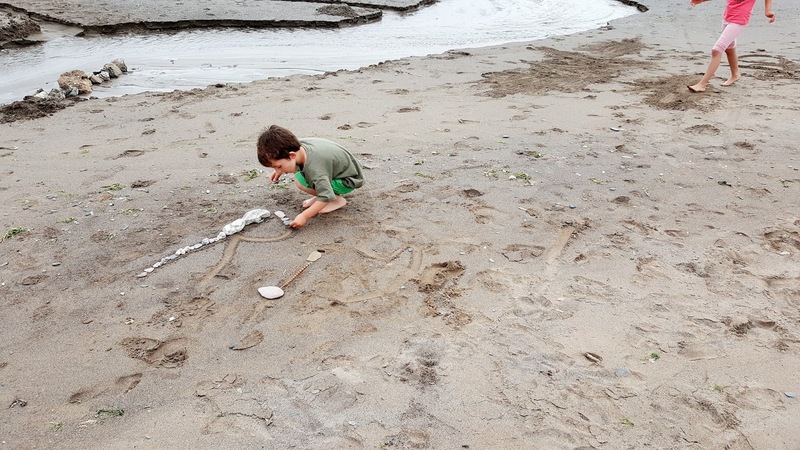 Whilst he did this, we talked about the shapes and sounds of the letters and I asked him to try making the sounds. Letter matching is an excellent activity which can be used as a precursor to writing. It encourages children to think about the shapes of the letters and look at the similarities and differences between them. Then they can start to differentiate the letters from each other. D is past the letter matching stage so she needed something a little more challenging. 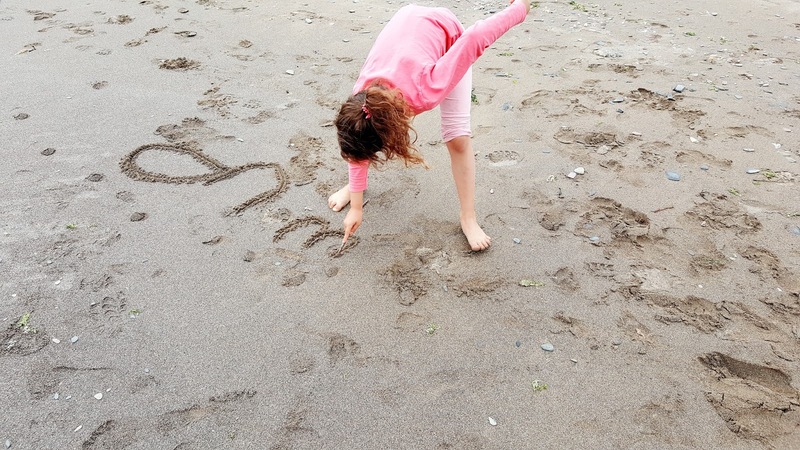 I called out letters to her and asked her to write them in the sand. 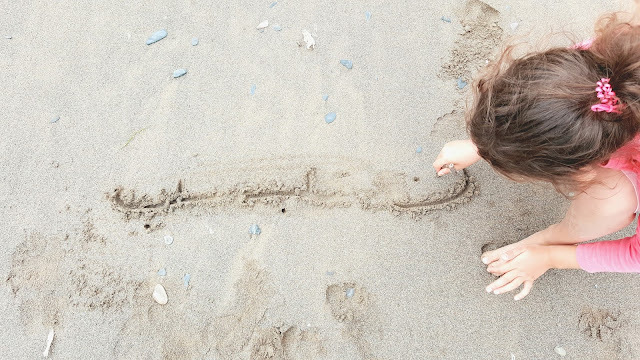 She enjoyed this activity, particularly as she was writing in the sand rather than on paper. It made a nice change. 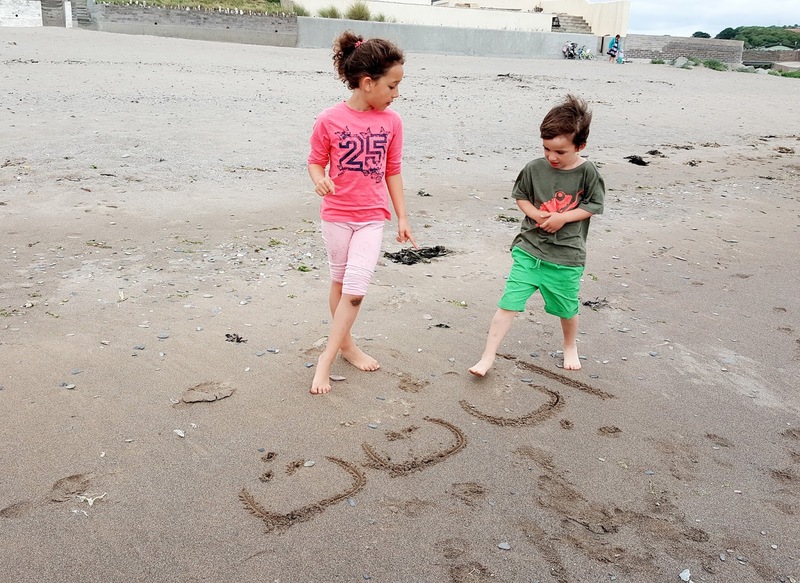 D has also been learning to join up the Arabic letters so I suggested we test out her knowledge of this. 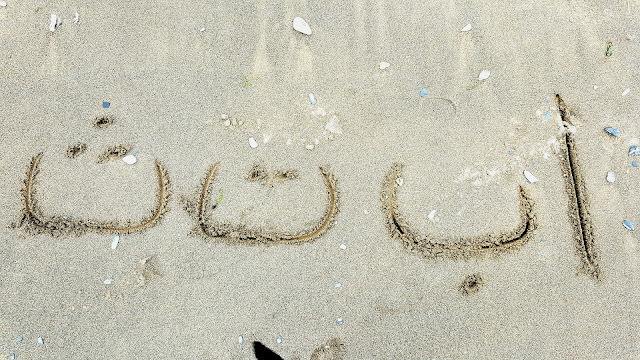 Arabic letters are written differently in different positions in a word (beginning, middle or end). 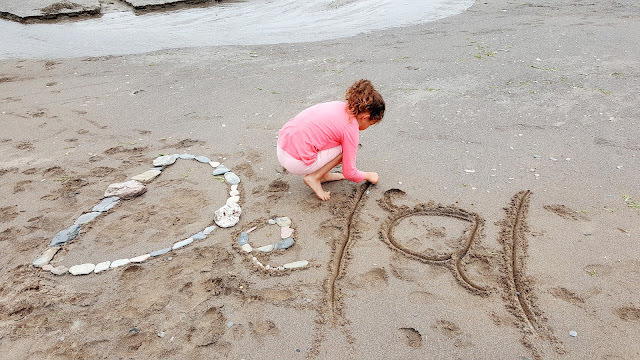 I gave her some letters and asked her to write them as they would be at the beginning, middle or end of the word. She needed a bit of help with this so I know this is something we need to keep working on for a while longer. 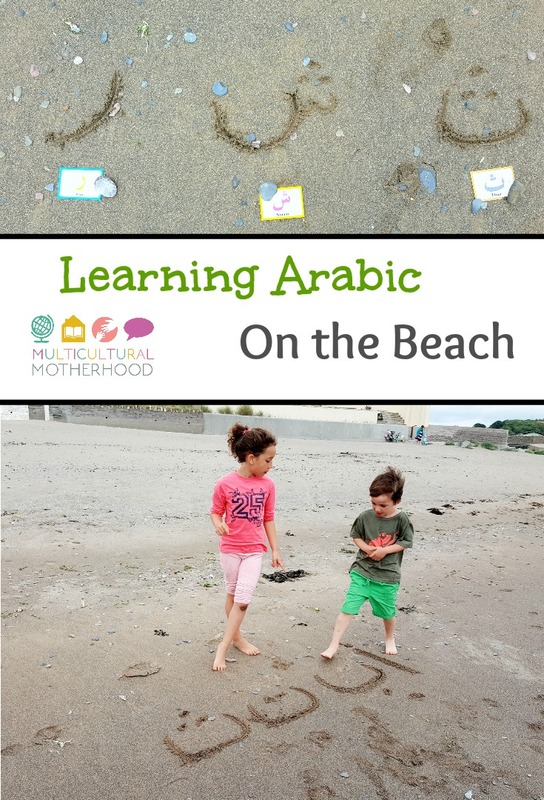 There are so many ways you can learn at the beach. Here is a post about learning numeracy on the beach. As I said before, learning can happen anywhere. Have fun with it! 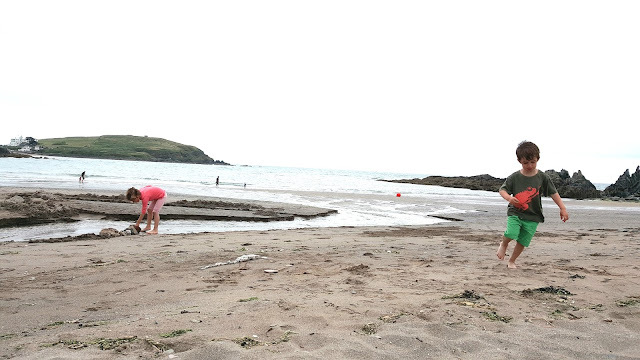 It is a fun way to teach kids.What kid would not love beach and it is good way to refresh their minds and teach too. Wow...that looks like a whole lot of fun. Wishing you and the kids many more happy and fun hours of learning. 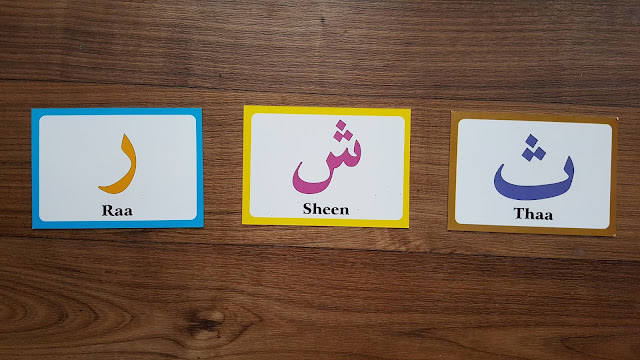 That is a really cool and fun way of teaching Arabic or anything for that matter to kids!! Will definitely try it out with my sister!Thank you for sharing sis! Masha Allah! 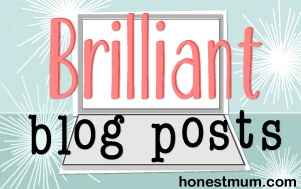 Such beautiful ideas you have! Thanks a lot for sharing, learning needs to be fun, only then we find interest in learning more!! Good job lady! You always post good kids' activities with nice amount of explanatory images. Wonderful work. Learning can happen anywhere and at anytime, well said! A quick question, as you mentioned that you wouldn't suggest flash cards for learning Arabic letters for those younger than preschool age...so what would you recommend for those little learners? Thank you! For younger children I would recommend concentrating on learning the sounds of Arabic and simple vocabulary. When it comes to learning the sounds of a language, the younger the better. In fact, I would start from birth, if possible, with exposing them to the different sounds in the language and then they will be able to pronounce them so easily. 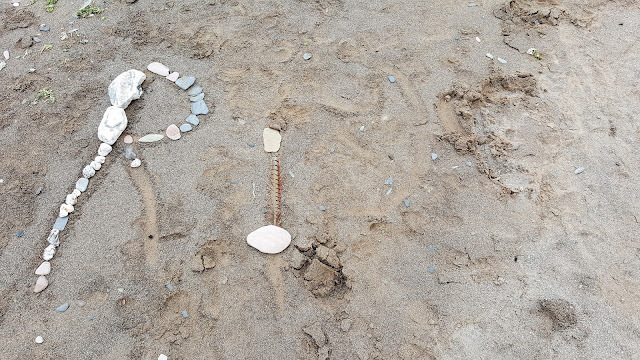 Such a lovely way to combine learning and play. This really is the best way to learn - whilst having fun. They are going to be such talented kids learning Arabic and English. 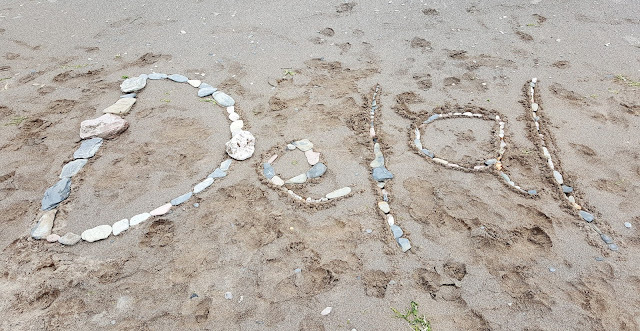 The sand writing is a great idea and perfect for when the weather is not so hot and the beaches less crowded. Sounds like you had a lovely holiday. It's hard work teaching children other languages but hopefully it will be worth it in the end! You are right, Arabic is a beautiful script, especially Arabic calligraphy. I love your honesty and the way you show that your finished projects are not always "perfect." For example - your five year old wandering off to another activity and only getting half-way through decorating his name. Definitely feels real and helps me relate to your struggles and triumphs.